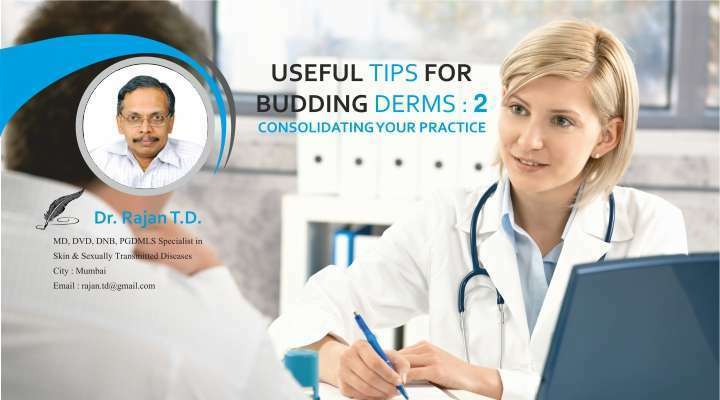 Useful Tips For Budding Derms: 2 Consolidating Your Practice By Dr. Rajan T.D. 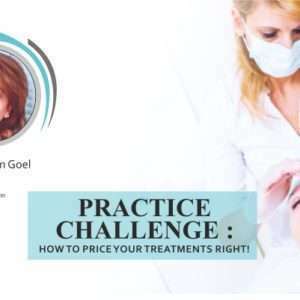 In the early days of practice, the struggle is to get patients coming. The bigger battle is to retain those patients for a reasonably long period. 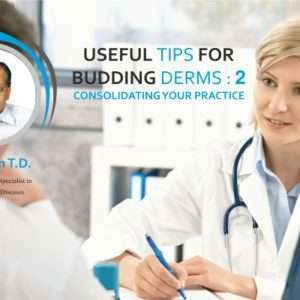 Once the dermatologist is popular among the people and one touches the magic figure of, say, 1000 patients in the vicinity that becomes a treasure trove to generate new patients. They would not only come for their own problems but also refer family members and friends, provided the intensity of faith is strong. Quite often their neighbors may be consulting other dermatologists and not getting results or the desired answers. These neighbors can get redirected for second opinion if the bond with the original patient is strong. Thus the art of consolidating the practice has to be carefully cultivated. 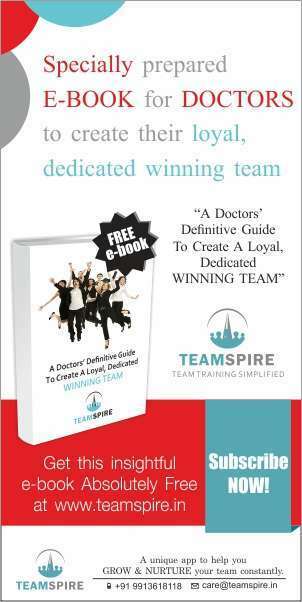 Based on inputs from several senior medical practitioners here are some points to be borne in mind. 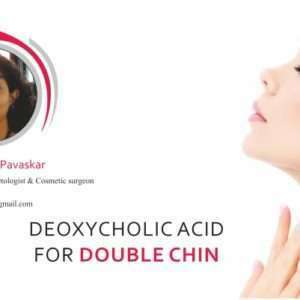 In chronic, recurrent eczema, psoriasis, lichen planus, urticarial etc. it is quite possible that treatment does not produce long-term remission. Treatment with immunosuppressive drugs too may be unsuccessful despite the patient following up regularly for several months. In these cases, it is a good idea to tell the patient honestly that they could try out alternative options or seek a second opinion. Most of them will be willing to give you more time in such a situation. Another probability may occasionally occur, wherein the patient will seek your opinion on whom to go for advice. In this scenario, you could refer him to your mentor or senior whom you have worked with. In all these situations, it is imperative that the work-up and documentation is complete so that the dermatologist giving the second opinion is very clear how well you have managed the case, prompting him to apprise the patient that you have given him the best treatment possible! Do not fall in love! While one would like to keep trying to help patients of autoimmune or other disorders, do not stop them from going for a second opinion if they hint at such a likelihood. Letting them go will only indicate that you’re okay to get your prescription validated by someone else. If the patient has a strong bond with you, they will definitely come back in the future. On the contrary if they don’t return, you have one patient less who doesn’t have full trust in you. A patient with a chronic, unremitting disease who does not have sufficient faith in you despite your best efforts is better off sitting in someone else’s clinic and chewing up the new dermatologist’s brain. Moreover, it makes more economic sense that he or she is not seated in your waiting room and de-motivating those who are eager to see you! This title may be perturbing at first glance making one wonder whether one can really choose the people who come for consultation. 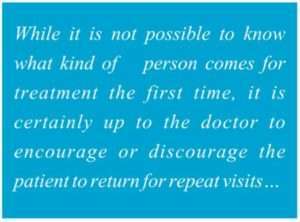 While it is not possible to know what kind of person comes for treatment the first time, it is certainly up to the doctor to encourage or discourage the patient to return for repeat visits. Most patients are indeed patient in the waiting rooms and wait for their turn quietly. Yet there will be some trouble makers who keep irritating the receptionist and wanting to be taken out of turn or to know how much more time it will take for his turn. Or some may walk over to the receptionist’s and leaf through the appointment list. Such patient’s disturb the privacy of the receptionist and also her peace of mind which finally affects her work. It would be wise to deal firmly and curtly with such patients so that the smooth functioning of the clinic is not disturbed. Politely telling the patient not to irritate the girl is necessary even though it may displease the former. Also there is another category of patients who will instigate others in the waiting room about “lousy appointment system” or having to wait for long despite having an appointment. Many times the irritating person is just one but s/he manages to provoke others creating chaos outside. Deftly, control that one! That way the annoying ones will go somewhere else and disturb another doctor’s peace! 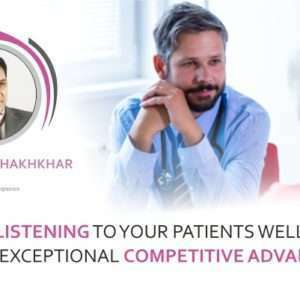 It is very important that while in the clinic the consultant’s mood is not spoilt by one miscreant as it could affect the doctor’s interaction with the rest of the patients who remain to be seen. Although patients may be willing to spend large amounts or get themselves ‘peeled’ or ‘derma-rolled’ on the first consultation, beware. It is better to let the patient be counselled about the pros and cons of the procedure in advance and allow them to go home and sleep with that information, before turning up another day with specific appointment for the procedure. This way s/he will be in a better frame of mind to go through with it even if there is slight discomfort. Moreover, on the appointed day, they will be well prepared with the procedure fees to be paid as compared to day one when they may be short of funds, potentially leading to embarrassment for all concerned. A major advantage of not doing procedures rightaway is the minimal “adverse reaction” from family members who may not agree with their son or daughter in-law undergoing certain procedures. This situation arises very often in the case of teenagers (even if they are over 18 years of age) who may get a bashing at home if they reach home with a red face and empty pockets! Some of them may not return subsequently for repetition of glycolic peels etc. if their pocket money is stopped. What is even worse is when their parents turn up the next day to question and make the doctor feel uncomfortable. While performing procedures where the opinions are subjective e.g. 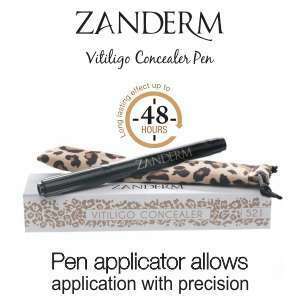 fairness, whitening, glow, shine, wrinkling, fine lines, loose skin, prominent ‘pores,’ etc. there is high possibility of the expectations not being met 100%. 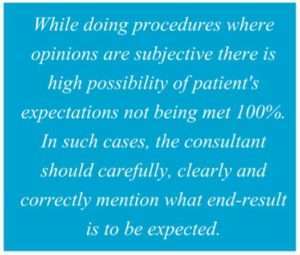 In such cases, the consultant should carefully, clearly and correctly mention to the patient and the parent what outcome is to be genuinely expected. Patients who have to follow up with the doctor for several months, will gradually learn the pattern of the dermatologist’s prescription. He will understand for which lesion a particular cream is to be applied during a relapse. For example, in a case of plaque type of Psoriasis vulgaris who shows good recovery, while stepping down topical corticosteroid from Clobetasol propionate to Mometasone furoate the patient could be made to understand the thought process involved. If the patient is educated and possesses average level of understanding, he can then be taught to reverse the order for a short while if there is an aggravation. Obviously this kind of ‘education’ should be provided with a warning and time limits about hazards of overuse. Such a training relieves the patient the tedium of booking an appointment, finding transport and finally reaching the clinic etc. just to get a small advice. 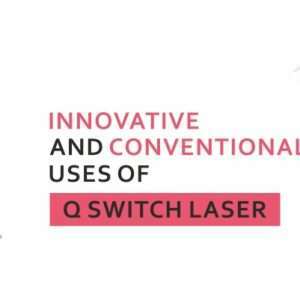 Such a consultation also holds up the busy dermatologist’s precious time which could, instead, be allotted to a more rewarding procedure! Obviously, such training to the patients could rob the dermatologist of a “consultation opportunity!” Yet, the convenience provided to the patient will make him thank the dermatologist at all times. 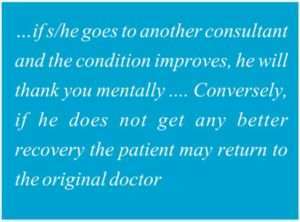 This attitude will motivate the patient to recommend the consultant’s name to several friends and relatives. Thus the “consultation opportunity” lost will be rewarded in multiples through new patient visits! Doctor’s consulting room interaction is usually very predictable after the first visit. The doctor as well as the patient knows the sequence of events in the doctor’s clinic. The consultation will end with the patient paying fees to the doctor. Most dermatology patients have to keep visiting the doctor several times. In chronic dermatoses the visits continue monthly for more than a year. In all these cases the patient will end up paying and paying fees each time. It would be a good idea to refuse to take fees during an occasional consultation. The surprise and relief that you get to see on the patient’s face when they understand that the doctor has not charged for his advice is more than money can buy! The genuineness of the doctor’s empathy with the patient is evident with this masterstroke. The thought of the patient that his doctor has given adequate time and not charged for his treatment further consolidates their bond. In addition to the above, each one of us can further find novel opportunities in their practice that allows your practice to take off! In the third and concluding part, the author writes on ‘Widening the base’.